Saba is only 5 square miles, but is definitely worth visiting. Take a taxi up to Mt Scenery. At a height of 2855ft, it’s 6.5 miles of zigzag road. Enjoy seeing banana plantations, oleander bushes and stunning ocean views. 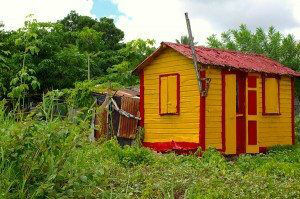 Visit the many little shops in the village surrounded by clover and lemon grass. Look out for Saba Lace and Spices. There is excellent diving around the deep waters. Enjoy dinner ashore or on the tranquility of the aft deck. Saba, the smallest island of the Netherlands Antilles, was heavily influenced during colonial times by a several centuries of Dutch rule. Indeed, while English is spoken by everyone, Dutch is still the official island language. In fact, the name Saba is believed to be derived from the Dutch word for “shoe”, which was, at one time, the main industry on the island. Although also a haven for pirates, the most notable native Saban pirate being Hiriam Breakes, who famously quipped “Dead Men Tell No Tales, ” Saba has a rich and varied history. 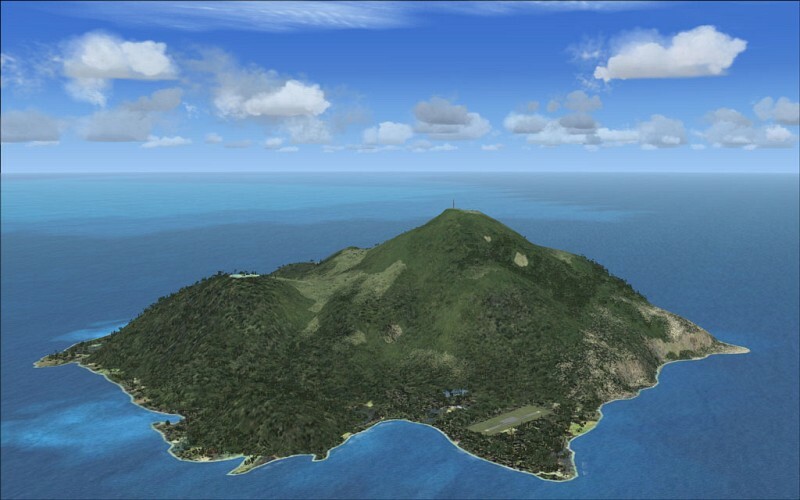 A small island of only 5 square miles, it rises straight out of the sea to the top of Mt. Scenery. Covered with tropical rainforests, the virtually round shaped island has few safe anchorages, and sometimes an overnight stay is not possible. The island residents numbering only around 1500 trace their roots back to a handful of families with Dutch, Scottish and African heritage. Farming is difficult in the steep rocky island terrain and therefore, the few inhabitants tend to take to the sea, and many find their way to other Caribbean islands to live. There is one road on Saba, called “The Road”, which connects the harbor with “The Bottom”, one of the four villages on the island to the top of the peak of Mt. Scenery. The Road is full of hairpin turns as it rises to the top of the island, making the drive its own adventure. Saba is a well known dive location, however the diving is not for the faint of heart and hiring a local dive guide is recommended. As the island plunges straight into the sea, diving is right around the perimeter of the island with a great diversity of underwater marine life and coral. In the 1870’s a young lady from Saba was sent to a convent in Caracas, Venezuela and there learned the difficult craft of “Spanish lace”. On returning to Saba, this craft was taught to the local women and a cottage industry of lace making was born. Now known as Saba Lace, be sure to look for this as a special remembrance of this unique island.